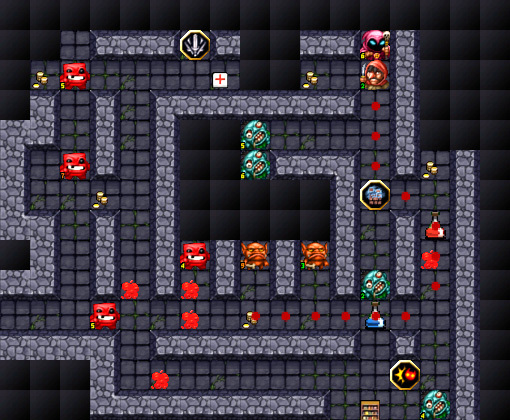 The new tilesets give the player slightly more information about the dungeon. 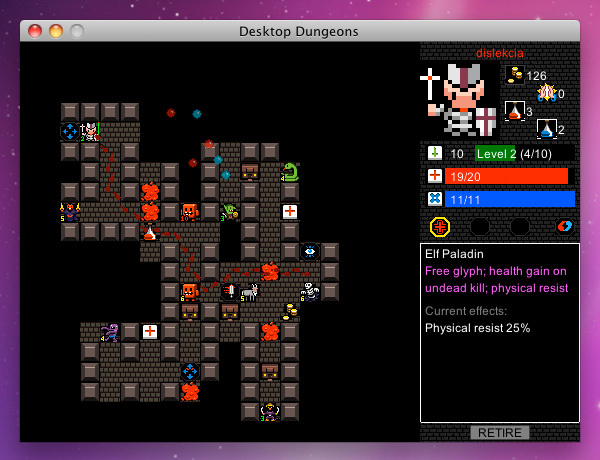 Gamasutra’s Road To The IGF: The Quick-Burst Roguelike Fun Of Desktop Dungeons – In which we talk roguelike difficulty curves and accessibility, which IGF finalists we’ve been playing and how much sleep we’re getting. Rock Paper Shotgun asks Where Next For Desktop Dungeons and gets philosophical about game cloning, has comment wars comparing imaginary comparisons to apartheid to Hitler and lots of features we haven’t talked about yet. Not quite as recently, local site Lazygamer talked to us about all sorts of crap and we mostly made really bad jokes and were exposed as Vin Diesel admirers. P.S. I can’t believe we forgot to blag about The Last Fleet being selected as a Gamesauce Challenge winner! Marc and Rodain were thence invited to Casual Connect Europe (which is just about to end) but we’re running a little low on Out of Africa money, so one of the runners-up got to go instead. Yup, after battling with GM for OSX on and off, we’ve managed to reach a reasonably stable point. It’s basically the same version of the alpha that’s available for PC, but now you can play it on your Mac doohickeys! (No, that doesn’t mean DD on iPhone – you’ll have to wait for the full version for that). P.S. If you download the game and suddenly it’s tomorrow, you may want to take a look at the IGF Audience Awards and do that thing we spoke about. P.P.S @Brandonnn Points out that you can use the CTRL+scrollwheel macro to zoom in and prevent eye-strain. 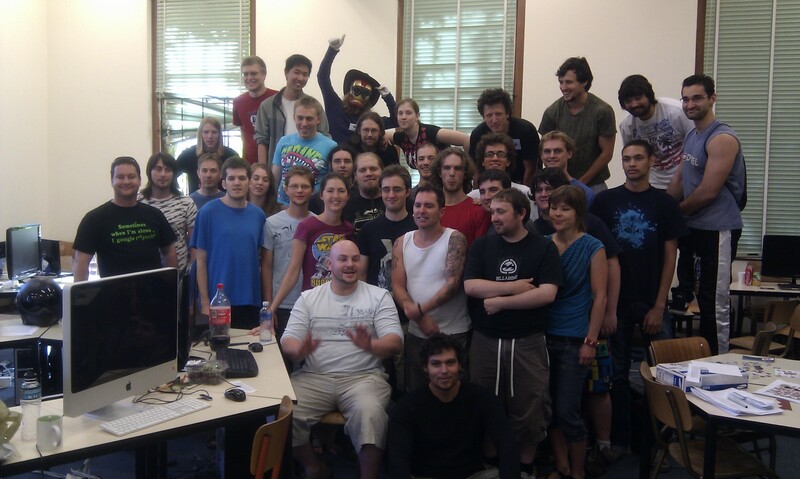 Greetz from Cape Town, GGJ 2011! 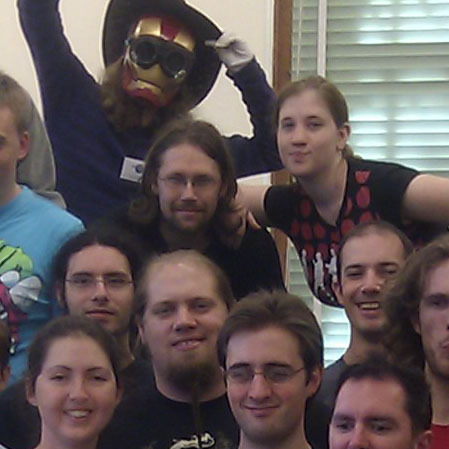 I wrote a post yesterday about this year’s Global Game Jam, and some pictures just swung in from Kyle Findlay, a friend of ours who was judging at the event. Here’s a group shot for y’all: we’d like to say “howzit” on behalf of all the Cape Town jammers this year!